London is the perfect city to visit with kids of all ages, but teens especially are likely to fall in love with this European capital city. From the major attractions to shopping around the city, teens will never be bored. Here are some of the best things to do in London with teens. *Disclosure: We were guests of Visit Britain for the purposes of review. This post may contain affiliate links, which means we may receive a commission if you click a link and purchase something that we have recommended. Please check out our disclosure policy for more details. Thank you for your support! London has more theatres than any other city in the world, meaning you can catch a show every day of the week (except for Christmas Day), and there is bound to be one your teens will love. Most theatres are located in the West End, and tickets can be purchased at the venue or on-line. Same day discount tickets for the theatre can be purchased at the TKTS London booth in Leister Square. Some of the favorite shows in London include: Harry Potter and the Cursed Child, School of Rock, Mamma Mia, and Wicked. The Hop On Hop Off Bus is very convenient for seeing London’s sights as it visits most major attractions. 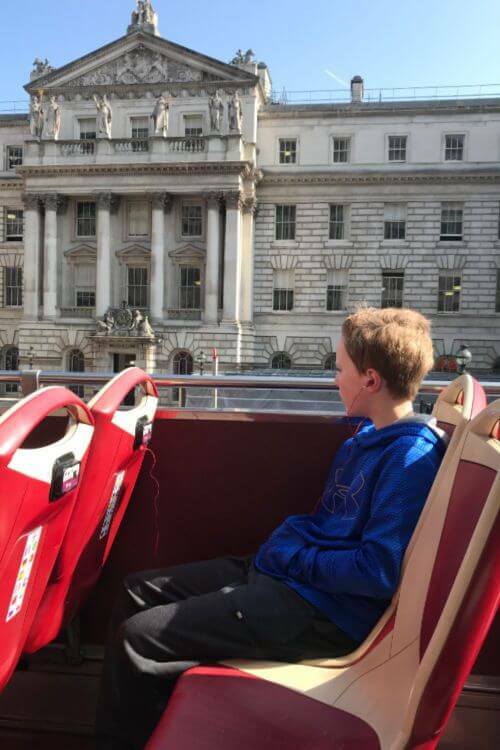 The Big Bus tour is offered as part of the London Explorer Pass, which allows users to choose a 3, 5, or 7 attraction ticket, download them to their phone, and then visit those sights within a thirty day period. (There are twenty attractions available, including the London Eye, HMS Belfast, Shakespeare’s Globe, Westminster Abbey, and Chelsea FC Stadium tour. You can find the full list HERE). Taking a bus tour with teens is perfect for a city overview and everyone will enjoy the narrated history (some buses offer live guides) of the attractions. Buses run various routes across the city, so grab a map when you get on and make plans from there. There are plenty of London museums for kids that teens won’t necessarily love. However, the majority of London museums are free, asking for a “suggested donation” instead. Why not take advantage and let your teens choose the museums they want to visit? 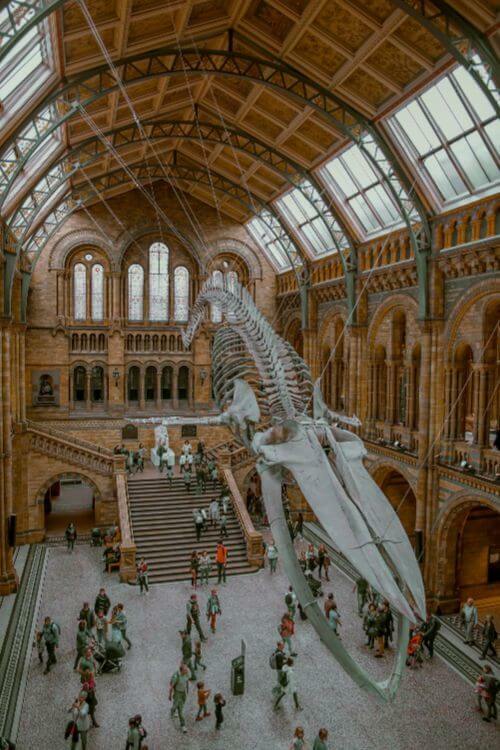 Favorite free London museums include: the British Museum, Victoria and Albert Museum, British Library, and National Gallery. Some museums offer extended hours to help with the crowds. The British Library extended hours are on Wednesday and Thursday, and the British Museum, Victoria and Albert, and National Gallery are open late on Friday. One of the coolest museums for teens we’ve ever been to is the British Museum. 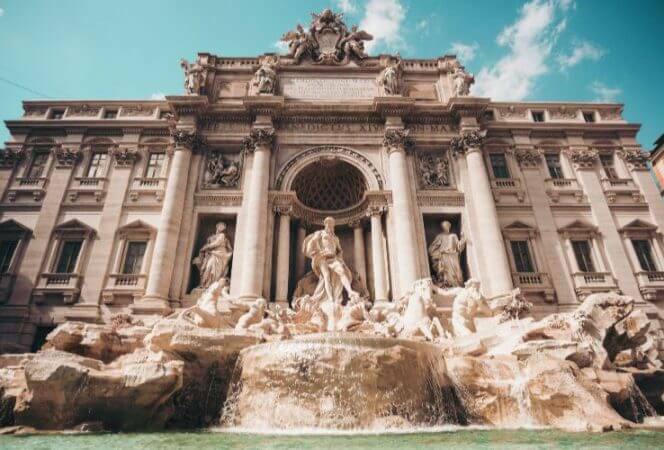 This houses some of the greatest artifacts in the Western World, from mummies to the Rosetta Stone to sculptures from the Parthenon. 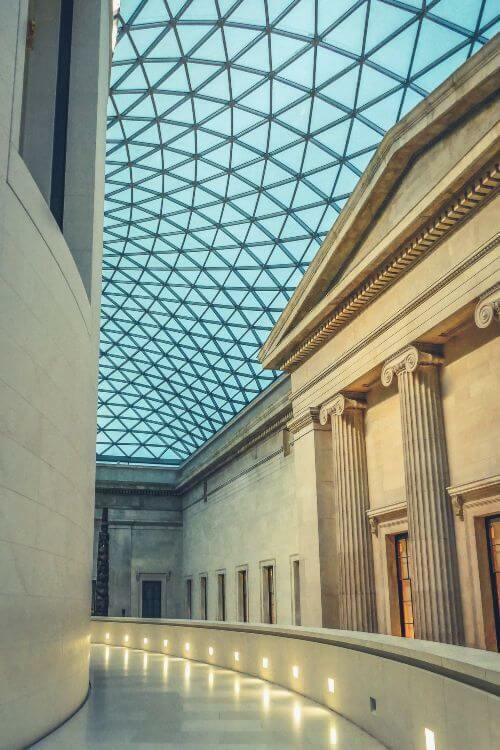 Consider investing in an audio guide or booking a private tour to see the best British Museum highlights. Book lovers young and old can appreciate the collection at the British Library. Original works include the Magna Carta, Alice in Wonderland, and Leonardo da Vinci’s notebooks. These are only a handful of the library’s major holdings, and the architecture alone is worth a visit if you’re not interested in the collection of over 150 million items. If you have a teen who loves European art, you’ll want to head to the National Gallery, one of the most beautiful art galleries in London, if not the world. They won’t want to miss Seurat’s Bathers at Asnières, Botticelli’s Mars and Venus, or Monet’s The Water Lily Pond. Plan on spending a couple of hours minimum to enjoy the best paintings at the National Gallery. The Victoria and Albert Museum is the world’s largest museum of decorative art and design, built in the 19th century and named after Queen Victoria and her consort Prince Albert. 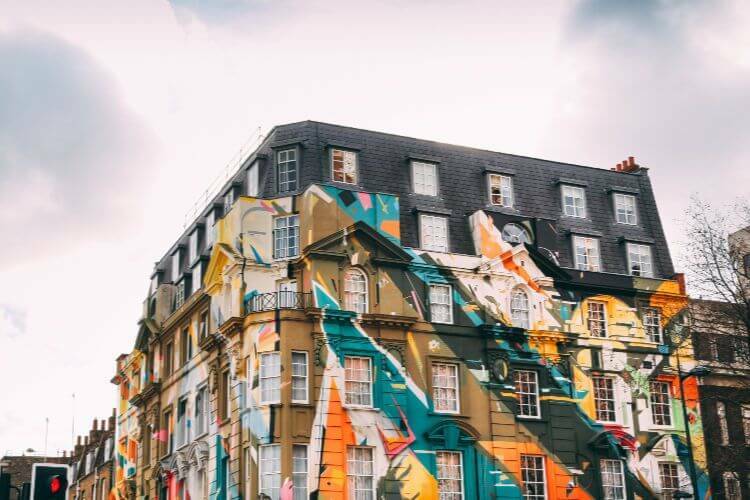 If your teen is creative and loves photography, fashion, jewelry, or anything else related to the creative arts, this is one of the activities in London you won’t want to miss. 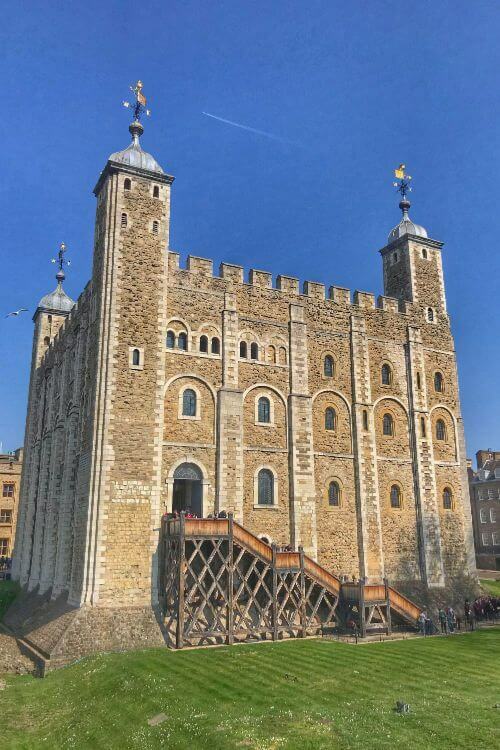 A must see in London with teens, the Tower of London dates to William the Conqueror in the mid 12th century. For over 900 years it has been used as a royal residence, treasury, and prison. Plan on spending a few hours here exploring the grounds, the Royal Armoury, the Crown Jewels, and walking the outer walls. For a fun time, catch one of the free tours with the Yeoman Warders (aka Beefeaters) who make the history of the Tower extremely entertaining. You can walk or drive under the beautiful bridge towers, but the Tower Bridge Experience offers visitors a view from high above the road, as you walk on glass floors to see the cars passing below. This is not for the faint of heart. 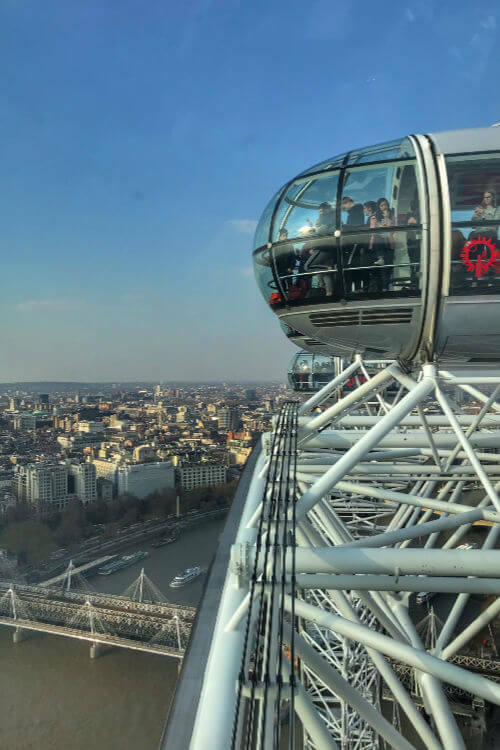 The Coca-Cola London Eye takes you on a ride high above the London skyline. Lines can be long, so plan on going first thing in the morning or mid afternoon on a weekday if possible. We waited fifteen minutes for the ride, which took 30 minutes to complete one revolution. The views from here are stunning in all directions, making it a must see for teens in London. If your teen loves theatre or reading Shakespeare’s works, you won’t want to miss this reconstruction of the original open air theatre that burned to the ground in 1613. Tours of The Globe are fun and entertaining, or consider purchasing tickets to one of the performances. It’s one of the best places to see a show in London for teens. 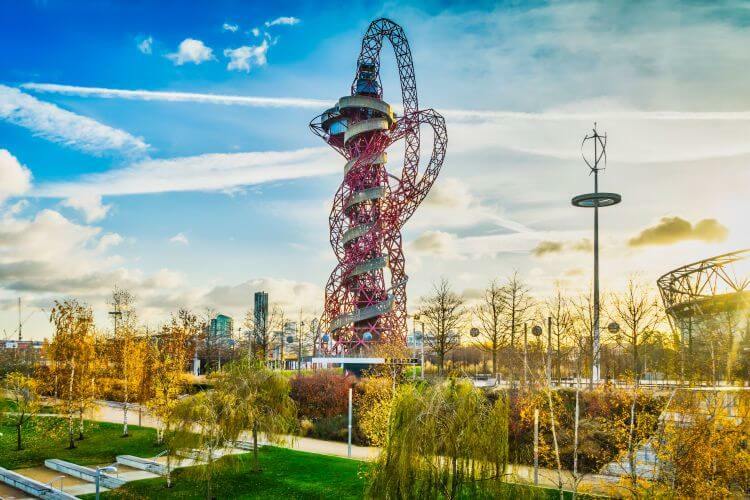 Located at Queen Elizabeth Olympic Park, the Arcelor Mittal Orbit Slide is the craziest of all theme park rides. Guests can take a ride on the world’s longest tunnel slide in London. At 583 feet long, riders go through twelve twists and turns, never knowing what’s around the next corner. Book tickets for the slide at the Arcelormittal Orbit well in advance because they tend to sell out. Those who don’t want to take a spin can just go to the top and enjoy the view. If you’re looking for things to do with teenagers that are unforgettable, the O2 arena roof walk delivers. Teens (and parents too) can climb the O2 roof for some of the best views of London. The 90 minute walk takes you up and over the top of the dome while suspended from a cable harness. Book tickets well in advance and consider going at night for an entirely different experience. 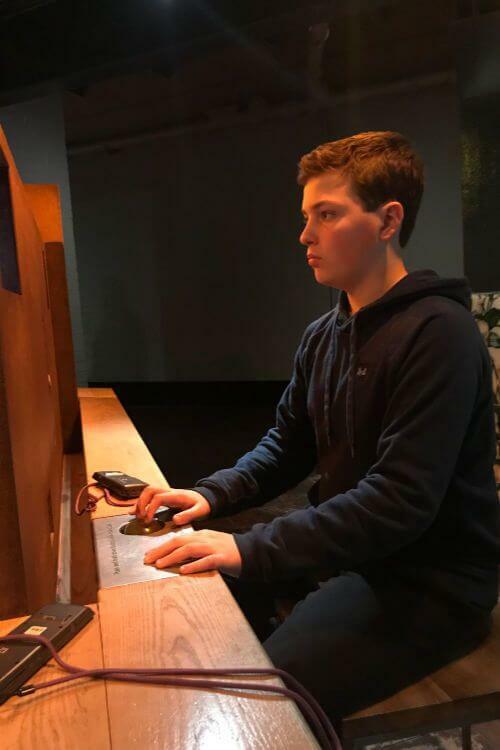 If your teens like history, the Churchill War Rooms are fascinating. The base for London’s World War II operations, this museum tells the story of the plans for destroying the Nazis and allows visitors to tour the living quarters for Churchill and his staff. An audio guide tour is included with admission and it details the history of this incredible operation center turned museum. Teens will love the interactive component as well which allows them to tailor the tour to fit them. Big Ben is one of the most recognizable landmarks in the world, but it is currently undergoing a facelift and is covered in scaffolding. The Houses of Parliament originally housed English royalty from the 11th to 16th centuries, but now it is the meeting place for England’s legislative branch of government. When Parliament is in session, guests can visit for free, otherwise you will have to pay to enter and take a tour. Westminster Abbey is one of the most beautiful churches in the world, and definitely deserves a stop. Since the 11th century, this is where kings and queens have been crowned and many are buried here as well (including Queen Elizabeth I and Queen Mary I). Other important things to see include the tomb of Mary Queen of Scots and Poet’s Corner where many famous English writers are remembered (although not necessarily buried). Located at 20 Fenchurch (also known as the Walkie Talkie building), The SkyGarden offers some of the best views in London. At the top is a bar, gardens, and restaurants. 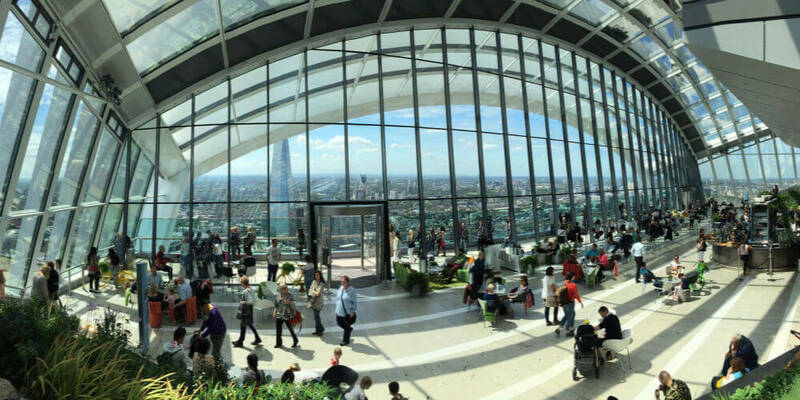 Be sure to book your visit in advance as The SkyGarden is free, but reservations are required. Buckingham Palace is only open for tours when the Queen leaves London during August and September. The rest of the year, visitors have to settle for the Changing of the Guard, a ceremony where the Queen’s guards change posts with a formal ceremony. This experience is usually overcrowded, but if it’s on your list, be sure to arrive between a a half hour to an hour beforehand in order to ensure a decent view. Trafalgar Square is a fun place to people watch before or after a visit to the National Gallery. 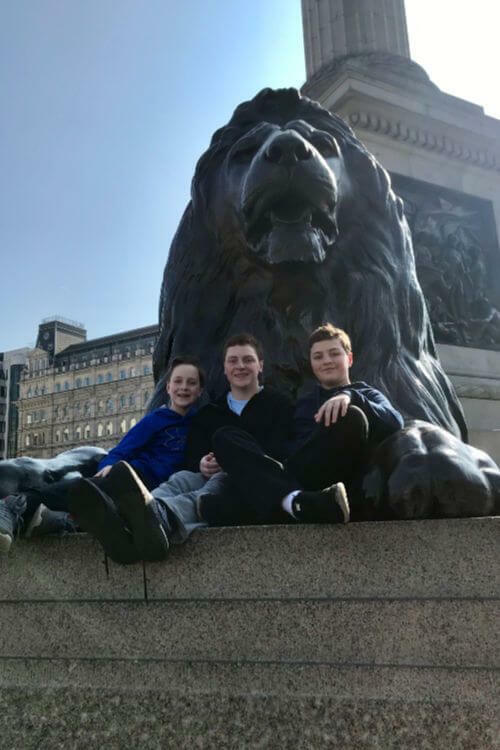 Our boys enjoyed climbing on the lions and insisted we take pictures. It’s also a central meeting spot in case teens want some time to explore on their own. Kensington Palace is a working royal residence and is the home of Prince William and his family. Built in 1689, it was the birthplace of Queen Victoria and the home of Princess Diana for many years. Visitors can tour the King’s and Queen’s State Apartments, as well as the adjacent Kensington Gardens which has over 275 acres of exquisitely manicured grounds. Teens might love taking a tour of Premier League football stadiums where teams like Arsenal, Manchester United, and Chelsea FC play their matches. Most tours include a locker room visit, a walk through the players’ tunnel, and an audio (or actual) guide detailing the team’s history. 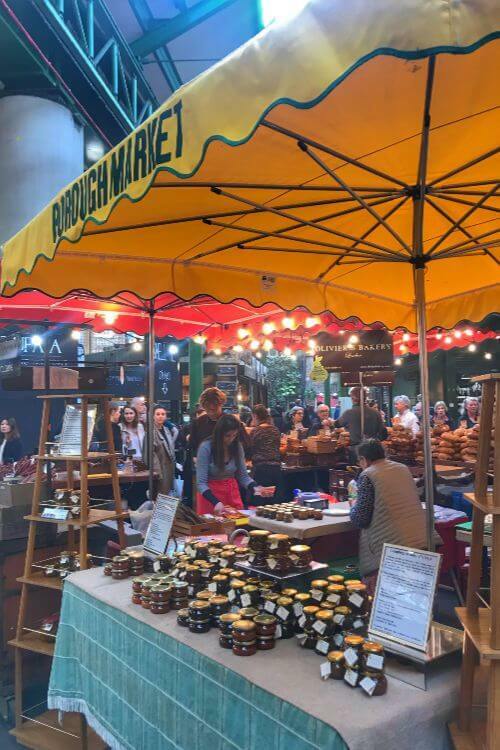 Borough Market is a food market London locals enjoy as much as the tourists. There are countless produce stands, florists, and restaurants. It’s similar to a food court on steroids and everyone can choose their favorite meal. It’s located under a Victorian arcade, and the train overhead only adds to the ambience. The hard part will be finding a seat once you have your food! Covent Garden has some amazing people watching with its quirky shops, street musicians, and charming cafés. 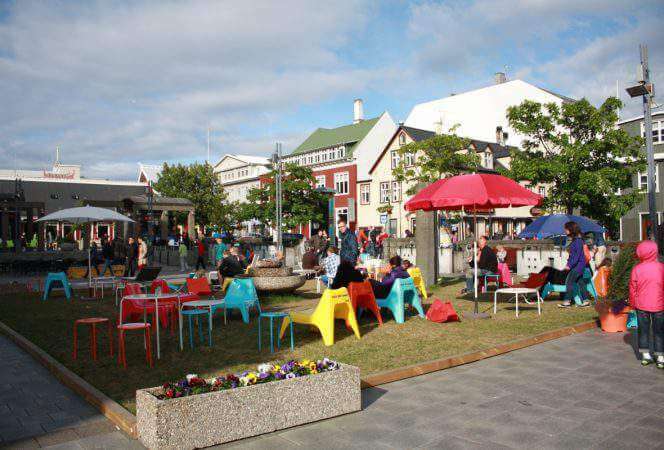 There are plenty of stalls for shopping, and teens can find some cool clothes and tchotchkes here. Every day is different at the Portobello Road Market London. Some days are made for produce, others are for fashion, and on the weekend people always come for the antique market. There are some great street food spots and teens can find plenty of London Instagram photos to take in Notting Hill! If your looking for things to do with teenagers, than you’re surely going to score points with the most Instagrammable spots in London. These places will provide photos that will be the envy of all of their friends. Leadenhall Market – site of Londinium’s Roman Forum and inspiration for Harry Potter’s Diagon Alley. 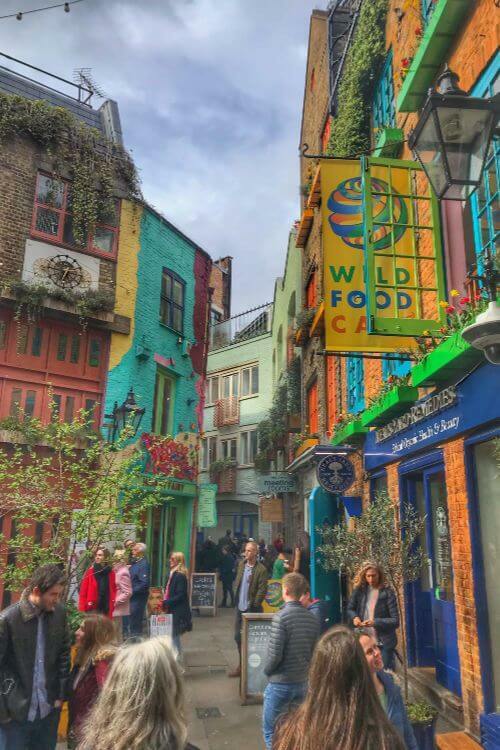 Neal’s Yard – colorful street with cute shops in Covent Garden. The Churchill Arms – this Notting Hill pub is draped with stunning flower arrangements that change seasonally. Don’t miss it! Peggy Porschen Cakes – Adorable bakery in Chelsea where the outside is just as delightful as the baked goods inside! Oxford Street – Oxford Street is filled with shopping opportunities with over 300 retailers along the mile and half long street. Located in the West End, it’s a perfect place to spend a day out in London with teens. Cereal Killer Café – Located on Brick Lane, this cafe offers over 120 cereals from around the world. Choose your cereal, choose your milk, and create your very own Instagram shot. Abbey Road – The Beatles made it famous, now it’s time for your teen to do the same. Sketch Restaurant in Mayfair – This London restaurant has some of the most beautifully decorated dining spaces in the city. Each one has a different vibe, and teens will go crazy for the opportunity to post photos from this space. The Town House Kensington – After the success of their themed Tale As Old As Time tea, Town House has changed their offering to a tea themed around London landmarks. It’s a charming way to honor the city’s architecture. 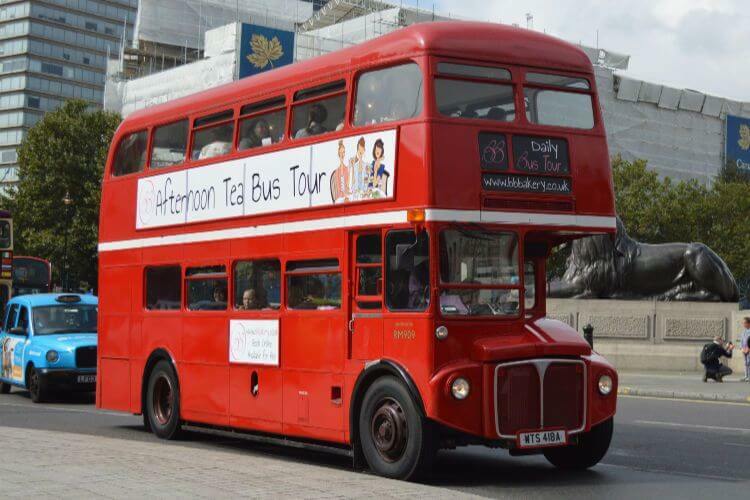 The B Bus – If you’re looking for unusual things to do in London, why not consider afternoon tea on a bus? Tea is served in a vintage double decker bus that tours around London while you enjoy your treats. Cutter & Squidge – This wizard themed afternoon tea involves drinkable and edible potions you help create. Book in advance as it fills up quickly. Sanderson Hotel – Yet another unique afternoon tea, the Sanderson Hotel offers a Mad Hatter tea experience. Everything from the dishes to the menus to the food is “Alice in Wonderland” themed making for quite a memorable afternoon. There’s no place better to explore on a beautiful day than Hyde Park. 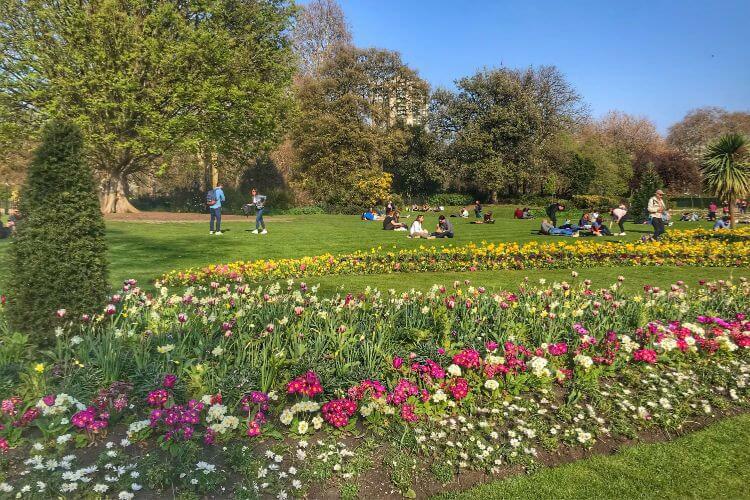 Covering over 600 acres in central London, the park is perfect for a stroll or bike ride, catching a bite at the bistro, renting boats on the lake, or feeding the ducks and geese. 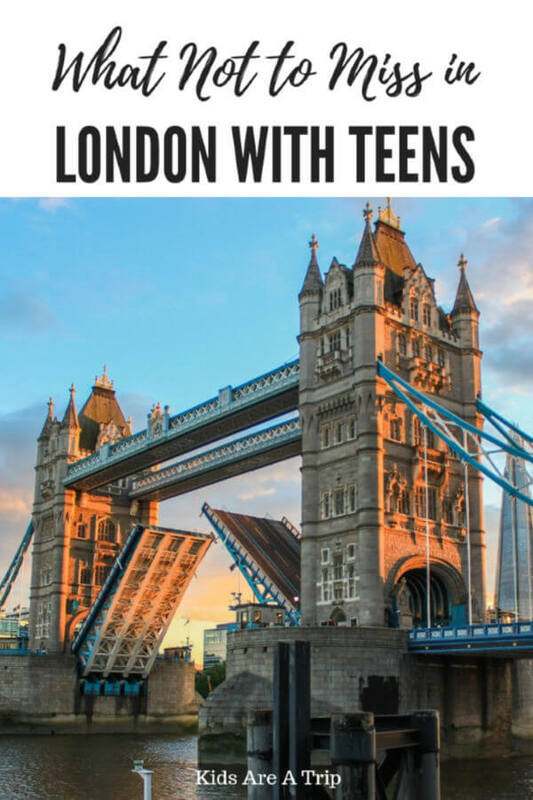 Teens may want some time to relax after exploring London and this is the ultimate place to do so. One of the city’s eight Royal Parks, Regent’s Park is referred to as the “people’s park”. Spanning over 487 acres, teens would like boating on the park’s lake, walking through the gardens, and exploring the neighboring area known as Primrose Hill with its quaint boutiques and cafés. Fat Tire offers a variety of family friendly tours of London, from biking around the major sights to walking tours of the city of London. If you have a Harry Potter fan in the bunch, don’t miss a day trip to Warner Brothers Studio where the Harry Potter films were made. To reach Warner Brothers in Watford Junction you’ll need to take a train from London Euston tube station. Once you arrive, there is a bus that transports you to the studio (separate ticket needed, buy on site). You must purchase tickets for the Harry Potter studio tour online well in advance and allow for two hours to travel there and back. The tour itself lasts from 2 to 3 hours. Once inside, guests can explore the Harry Potter sets, clothes, and props, from the Great Hall to Diagon Alley to the Hogwarts Express. There’s a café about half way through the tour that offers a decent lunch and butter beer (as a drink or ice cream). Even if your teens think they are too old for this, rest assured, they will be pleasantly surprised and might even thank you for taking them. If your teens are older, they might enjoy taking a tour that covers one of London’s most famous serial murderers. Jack the Ripper Tour with Ripper Vision takes you to the back streets of London and allows you to see street scenes from Jack Ripper’s time through hand held projectors. It’s a tour teens will talk about long after it’s over. 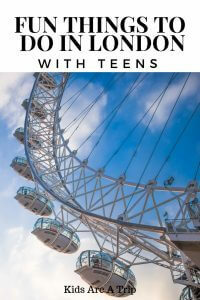 This is another fun way to introduce teens to London. Head out on a walk with one of the tour guides on a two hour city walk. There are plenty of fun things for teens to do in London that have a Harry Potter theme, but nothing is as fun as the Muggles walking tour. 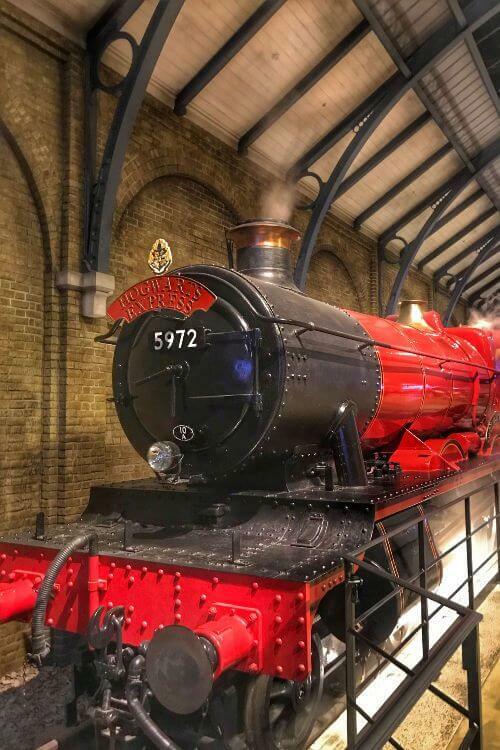 Book tickets in advance and experience a tour with devoted Harry Potter guides who know everything there is to know about the books and movies. Visit the filming locations and the destinations around London that inspired J.K. Rowling to write her novels. If you are looking for cool things to do in London, this tour may be one of the coolest. This street art tour takes you through the Shoreditch neighborhood with a guide who explains the difference between street art and graffiti and some of the stories behind the paintings. The Thames Clippers are primarily for commuters, but they provide an efficient manner of travel along the Thames. Consider taking a boat to Greenwich, Kew Gardens, or Hampton Court Palace. It’s unlikely you will run out of things for teens to do in London, but in case you have time and want to explore outside the city, here are a few places to visit. 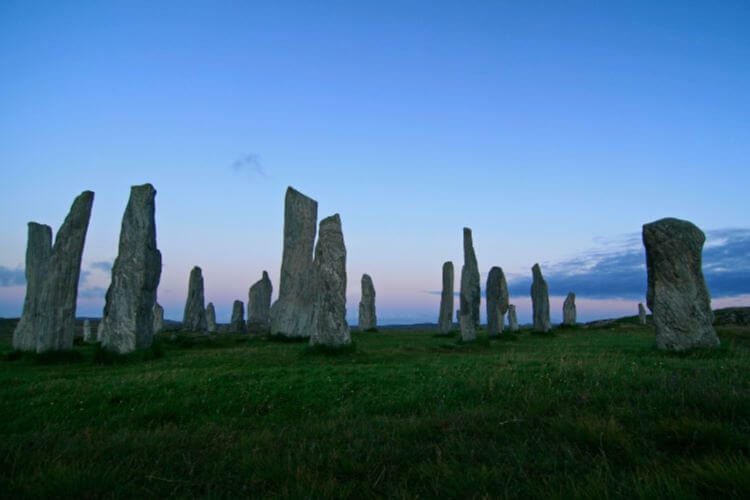 There are plenty of half day tours to the famous stones about 90 minutes outside of London. Take a train to the Salisbury station and hop on a bus from there to Stonehenge. If you have more time, consider adding on a day trip to Bath, which is only an hour from Stonehenge. Bath is a beautiful town to wander around and a must visit are the Roman Baths. This will be a full day away from London, so plan accordingly. Windsor is twenty miles from London and is the perfect place to feel like royalty. Consider touring Windsor Castle or taking a carriage ride through Windsor Great Park. Teens might also enjoy rowing kayaks on the Thames, visiting Eton College, or walking along the Thames after food at a local pub and shopping. A quick boat ride or light rail journey from central London, Greenwich is home to the Cutty Sark, the Royal Observatory, and the National Maritime Museum. The Royal Observatory is located on the Prime Meridian (0 degrees longitude) and is the point from which all distances and time in the world are measured. Be sure to leave time for Greenwich Market (food and shopping) and Greenwich Park. Riding the subway in London: Use Oyster cards. You will pay a 5 pound deposit and load the card as you go. You can use these for the Tube (subway), buses, the light rail, and the Overground trains. Each traveler must have their own Oyster card. When finished you can return the card and receive your deposit. Kids ages 11-15 can get a discount on transport, just ask at the local tube stop. Useful transportation apps for London: Mapway has a tube stop map app which can be quite helpful. Citymapper app covers every mode of transportation in the city. We also found Uber in London to be quite useful. Drivers were always prompt and prices were cheaper than private cars and black cabs. This company manages nine luxury serviced apartments in London and each one is family friendly, spacious, and well appointed. We stayed in a two bedroom/two bath apartment next to a one bed/one bath apartment and enjoyed both units. Each one had stocked kitchens (with all the basics included), comfortable beds, stunning bathrooms, Netflix, and luxury toiletries and linens. Our apartment was very secure and located in an awesome part of town next to the London School of Economics. Merino Hospitality’s luxury apartments in London do not disappoint because the owners thought of everything. They offer private transfers, grocery shopping, free smart phones to use in London, and book tours as well. 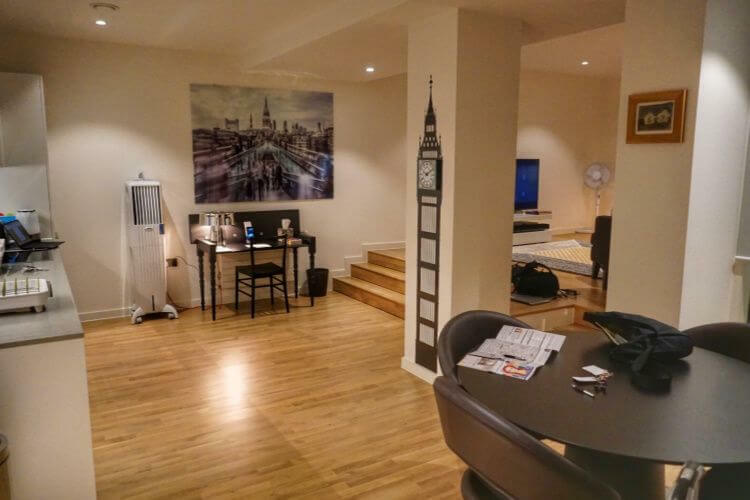 We would highly recommend these rental apartments for families in London. (For the full review and property tour, click HERE). 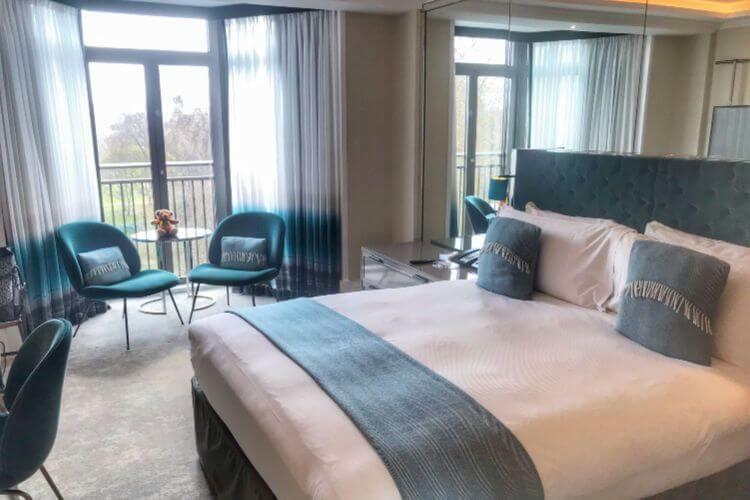 Located in the Mayfair area of London, directly across the road from Green Park, this luxury hotel is extremely comfortable for families. The staff goes out of their way to ensure everything is perfect for guests. Galvin Restaurant on site offers farm to table meals as well as an extensive breakfast spread with yogurts, croissants, smoothies, and made to order English breakfasts. Guests can also try the REN spa’s beauty and body treatments, spend time in the View, a top floor sanctuary overlooking the park, or simply sit on the front patio and just watch the world go by. Rooms are luxurious and well appointed, making for a fabulous five star stay in London. If you’re looking for other places to stay in London, you’ll want to read THIS. If you’re traveling to London with kids, you’ll love THIS POST.